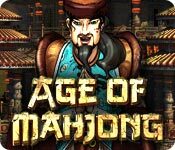 Age of Mahjong is rated 4.5 out of 5 by 21. Rated 5 out of 5 by yelwbkrd35 from Wonderful! I am new to playing Mahjong. This game is the best in every way. graphics,sound and story. Beautifully done! Love the building aspect as well. For all who love Mahjong ,this is a must buy. Rated 5 out of 5 by BayouWoman from What a great game! The different tile sets were beautiful, the scenery was beautiful as well. The music was very relaxing. I found the tiles easy to see and discern. I loved how you built a city. I thought the bonus game was a real novel way to play mahjong. I was hooked on this game for days...weeks...months!!! I had a great time! One of the best Mahjong games! Rated 5 out of 5 by Anidea from Great Mahjong Game Beautiful graphics...great story line...fun!! Rated 5 out of 5 by whizzie1 from Love, Love, Loved it! Don't remember when I've enjoyed a mahjong game as much as this one. The story line was very interesting, the tiles were beautiful and easy on the eyes, and although the game was short, you can go back and improve on any level you've completed. You won't go wrong with this game if you truly love mahjong games. Rated 5 out of 5 by dachsy from Top Mahjong Game! Wow! I was only part way through the demo when I knew this was a definite buy. 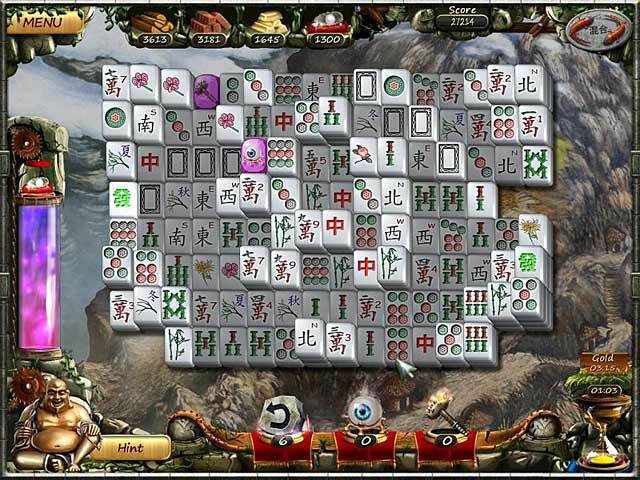 What set it apart from the outset, was the clarity of the graphics, compared with many other mahjong games. The tile designs are refreshingly different and are beautifully coloured and rendered. The sound effect when the tiles are matched is a pleasing feature also. Yes, the game is timed, but only in the sense that you get a 'gold' score for a fast solve, a 'silver' score for a bit slower solve, and a lesser score for a slow solve. The 'timed' aspect however is partially offset by the fact that the tiles in the top tiers of a layout are 'lit up' making the tiles available for play distinct from the others. This makes for faster play and thus a lesser time. Ambient music is very pleasant, relaxing and fitting. Storyline, as described by other reviewers is very good. A 'must have' for any mahjong fan! Rated 5 out of 5 by trinity37373 from Aged Well Finally a mahjong game that is beautifully done. 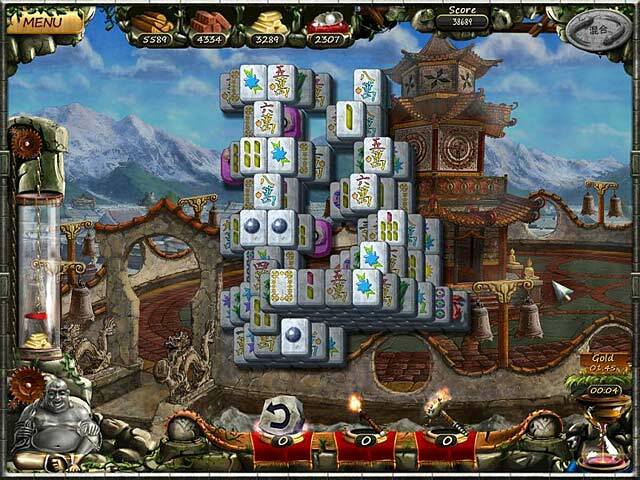 It had all the ingredients to make a great mahjong game. First the game play was challenging you could play with or without a timer. You have to find the to gold tiles to finish the game it also makes for an interesting game. They also add helps to get you to your goal of clearing tiles. 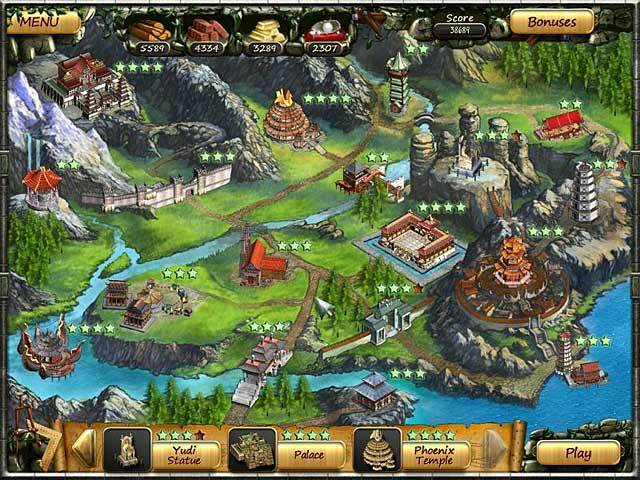 The story kept the game going with the asian theme and building a town as you progress through the game was fun.